A toll increase or tax increase in San Francisco, transit-rich neighborhoods, and cities rethink rail. A toll increase or a tax increase in San Francisco? Do transit-rich neighborhoods reduce driving? 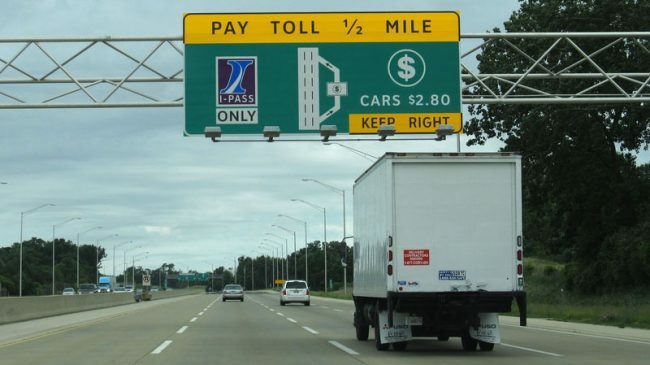 When Is a Toll Increase Also a Tax Increase? 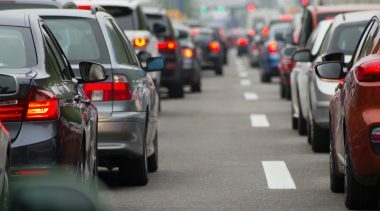 According to the most recent global traffic congestion report from INRIX, the San Francisco Bay Area is the fifth most-congested metro area in the world. The average direct cost per driver there (in excess time and fuel) is over $2,200 per year, and for the whole Bay Area this adds up to $10.6 billion per year. Last December, Sen. Diane Feinstein (D, CA) and Rep. Mark DeSaulnier (D, CA) argued that the most powerful and cost-effective remedy would be a new toll bridge across the Bay, parallel to but well south of the San Francisco-Oakland Bay Bridge. But transportation planners have proposed an alternative. It’s a large array of transit, highway, ferry, and miscellaneous projects, carefully spread around the nine-county metro area—to be partly funded by a $3 increase in tolls on each of the seven state-owned toll bridges in the region. The toll increase is projected to bring in about $5 billion over the next 30 years. It’s on the June ballot as Measure 3, and polls suggest it is likely to pass. While there are some worthwhile highway projects in the package (including expansion of the emerging express toll lanes network and modifying some interchange bottlenecks), large chunks of the funding would go for major extensions of the heavy-rail BART system, a CalTrain extension, new vehicles for BART and San Francisco Muni, new ferry boats, and of course bicycle and pedestrian grants. Business groups and transportation planners have adopted the strategy used widely in California to get voter approval of transportation sales taxes: since everyone will pay the new sales tax, give every part of the region and every mode of transportation a piece of the proceeds. This approach is likely to succeed with the Measure 3 toll increase on next month’s ballot. But a consequence of distributing toll bridge revenues as if they were sales tax money is another nail in the coffin of the users-pay/users-benefit principle. That has always been the key to citizen support for toll roads and bridges, and was the reason people supported the introduction of gasoline taxes as the highway funding source, early in the 20th century. Some states still reserve their state gas tax money for highways, remaining true to users-pay/users-benefit. But most do not, and Congress since the 1970s has diverted larger and larger fractions of federal fuel taxes to non-highway use, as has California. That’s a big reason why voters oppose increasing federal gas taxes, and why taxpayer groups in California have collected enough signatures to qualify a statewide ballot proposition to repeal the state’s recent gas tax increase. In a saner world, a new toll bridge across the Bay would be the obvious choice, even though the cost of building major infrastructure in the state is now enormous. A 2002 feasibility study of a proposed Southern Crossing of the Bay estimated an $8.2 billion cost, which would be about $11.5 billion in today’s dollars. Adding BART to such a bridge would likely add $4-5 billion to the cost. Such a crossing has not been completely ignored. Sen. Feinstein recently announced her support for Measure 3, even though it does not include the new toll bridge. But it does include a token $50 million to study a new bridge—either for cars or for BART, or for both. Do Transit-Rich Neighborhoods Lead to Less Car Use? A new empirical study in the journal Housing Policy and Debate has set off extensive discussions about Smart Growth and related ideas such as “location-efficient mortgages.” In the study, Nicolas Klein (Cornell) and Michael J. Smart (Rutgers) analyzed data from 11,000 families in a range of income brackets over the decade 2003-2013. The data come from the Panel Study of Income Dynamics, which tracks household expenditures over time by the same households. The idea was to see if families that live in or move to neighborhoods with lots of transit have lower transportation costs, as predicted by organizations such as the Center for Neighborhood Technology. This debate will likely go on for a while, as more research is done. But from an overall societal basis, there is a glaring omission in using only consumer expenditure data on transportation. In a blog post on Planetizen (February 21, 2018), Steve Polzin of the Center for Urban Transportation Research pointed out that most of the spending on transit comes from taxpayers and is therefore not measured in consumer expenditure data on transportation. As an extreme case, he cited the example of Seattle, where the 2016 ballot measure imposed a transit sales tax that will add $326 per year to the average household’s expenditures, on top of $303 per year in pre-existing transit taxes. So counting only transit fares and auto operating and maintenance costs does not accurately reflect what households are paying for transportation. The $40 peak-of-the-peak tolls on the I-66 inside-the–Beltway express toll lanes have been a popular media story. That charge to travel 9.5 miles on I-66 equals $4.21 per mile, which is definitely not cheap. Virginia DOT is looking for ways to reduce the average toll price, but keep in mind that the tolls have given solo commuters an option they did not have before. It is important to understand the history and geography of this highway. I-66 inside-the-Beltway is not a typical Interstate. The facility was planned as an eight-lane highway, with four lanes in each direction. Having eight lanes was the best technical solution, but Arlington County bitterly fought the road, and in the end VDOT built a four-lane I-66 to connect the I-495 Beltway and Washington DC. With only two lanes in each direction, VDOT restricted traffic in the rush-hour peak direction to carpools, vanpools and buses. Allowing single-occupant vehicles to use the roadway during peak hours would have led to severe congestion. However, those vehicle limitations created a less-than-ideal situation. Although single-occupant vehicles could not use the road in most rush-hour situations, there were carve-outs. Drivers traveling to or from Washington Dulles Airport were exempt from the occupancy requirement. Other drivers falsely claimed that they were driving to the airport since traffic enforcement officers had few tools to verify airport business activity. VDOT estimated that up to 25% of I-66 users were violators. In the years since I-66 was built, electronic toll technology that charges drivers based on the number of miles driven and the specific road they use has been developed. VDOT engineers realized that implementing variably-priced tolling on I-66 and adding new bus service would allow more people to use the corridor. They were able to convince Governor McAuliffe to implement the tolling starting in December 2017. The at-times high tolls have led to two types of complaints. Some complaints are justified—actual problems with the tolling. These can be addressed by changes that VDOT is now pursuing (see below). Unfortunately, many of the complaints are outright nonsense. These include claims that have been proven false, as well as logical fallacies dished out for political reasons. The first is that this change has caused hardship for commuters. But before tolling, only two-person carpoolers could use the facility. And those two-person carpools can continue to use the facility for free. So unless those carpoolers split up and chose to drive their own vehicles, there is no financial hardship. Others argued that alternative routes (the George Washington Parkway, US 50) have become more congested. But several studies show average delay on those roads has increased by less than one minute. And that is more likely due to population growth than tolling. The next goofy claim is that it costs more than $80 to use the facility. The morning toll rates can reach $40. But this price is in effect only for the busiest 15 minutes. Generally, fewer than 100 people pay this top rate on any given day. Further, the afternoon peak toll rate is about $15. Moreover, those paying the top tolls in the morning and afternoon rush are generally different drivers. Another claim is that the priced lanes are “Lexus Lanes” for the ultra-wealthy. But the top five vehicle models in the lanes are the Toyota Camry, Honda Accord, Toyota Corolla, Honda Civic and Ford F-150. These models are the top-selling vehicles in the country; they are not luxury cars. Further, in surveys, working-class residents have expressed a preference for the lanes to avoid being late for work or to pick up a child from daycare on time. Some claim that the lanes are designed to enrich VDOT’s Beltway express lanes private-sector partner, Transurban. The problem with this conspiracy theory is that Transurban does not operate the I-66 inside-the-Beltway lanes. And a different company, Cintra, is building and will operate the new I-66 express lanes outside the Beltway, whose construction began recently. 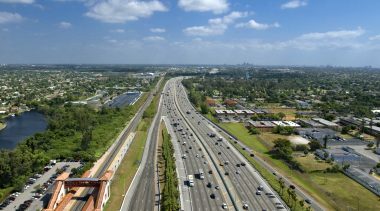 Every operating element of the inside-the-Beltway lanes, from the operating time to the toll rates, is managed by VDOT. VDOT can make several changes to improve the I-66 inside-the-Beltway lanes. It is working on the most significant change right now: adjusting the toll algorithm. Currently, the algorithm is set to provide vehicles with an average peak-period speed of 55 mph. However, due to congestion east of the Dulles Toll Road merge and near the Washington DC line, a target speed of 45 mph might allow substantially more vehicles to use the corridor. (Federal regulations require at least a 45 mph average minimum speed in HOV and HOT lanes.) Reducing the target speed may also allow VDOT to reduce the tolls outside of the peak-of-the-peak period. VDOT’s goal is to encourage more folks to travel outside the most popular 15-30-minute morning and afternoon commute times. VDOT also needs to look closely at tolling both directions. When the agency originally proposed the tolling, the plan was to toll both directions during peak periods. However, Gov. McAuliffe decided to toll the peak direction only. McAuliffe made this decision primarily to align the express toll lane operating hours with the previous high occupancy vehicle (HOV) lane operating hours. But a secondary reason may have been the opposition to tolling in Democratic Arlington County. Many Arlington residents reverse-commute to jobs in the Tysons Corner area. Finally, I-66 needs to be widened. Demand-based traffic solutions are an important part of solving congestion, but in fast-growing Northern Virginia, supply-based solutions are needed as well. VDOT will widen I-66 eastbound from the Dulles Toll Road to Fairfax Drive to three lanes by 2021 and increase the carpool occupancy requirement from two to three, to be consistent with what applies on the region’s other express toll lanes. While this will fix the biggest back-ups, other parts of the corridor face congestion even with tolling. In the near future, the entire corridor will need to be widened to six lanes with eight lanes needed in some parts. There are a number of reasons why cities are choosing bus over rail. First, bus is significantly cheaper than rail. A BRT project is typically 1/3 to 1/9 the cost of a similar light rail project. In a recent round of FTA grants, the median price of a light rail project was $575.7 million while the median price of a BRT project was $36.1 million. While BRT and light rail have similar operating costs, light rail has higher maintenance costs. Fort Lauderdale was planning to build a streetcar maintenance facility for its streetcar. New buses can be maintained in existing city/county garages. There are many factors behind the drop, particularly a growing economy and the role of ride-hailing services. But the continued drop in ridership month after month for several years has gotten so bad that the American Public Transportation Association (APTA) wrote a policy paper examining the problem. For an association paper, the document is fairly objective. APTA admits transit agencies have actual competition for ridership from transportation network companies (TNCs) such as Uber and Lyft. The paper suggests that dedicated bus lanes, which makes sense in transit corridors with very high-frequency service, will grow bus ridership. APTA argues that transit systems should create a loyalty program because that is the “type of engagement” that appeals to millennials. The paper also discusses the role of land use and the development of low-income housing and community services in suburban and rural areas that are not traditionally well suited to transit. For several decades, U.S. freight railroads have sought to gain market share from long-haul trucking in transporting shipping containers. They have made large investments in double-stack railcars and in some cases have gone to considerable expense to increase the clearance height of tunnels along key container-shipping lines. But trucking still retained the majority of long-distance container shipping. This situation may be changing, as a result of new requirements from the Federal Motor Carrier Safety Administration (FMCSA). The feds have imposed Hours of Service (HOS) regulations on truck drivers since 1938, but enforcement was based on the honor system: truck drivers kept paper logs of which hours they were on the road, and there was always speculation that many were driving more hours than was legal. Things began to change in 2003 when FMCSA imposed new HOS regulations based on extensive research into driver fatigue and accidents. Those regs went into effect on July 1, 2013—but still with paper log-books. The bigger change occurred last year, when a new regulation went into effect, requiring trucks to use electronic logging devices (ELDs). The rule was released in December 2015, giving trucking companies two years to equip their trucks by the deadline of Dec. 18, 2017. There was also a grace period before strict enforcement began, on April 1, 2018. Well, just as people suspected, many truck drivers had been driving far more than the maximum allowable 11 hours per day. According to an article by Theodore Price in The Journal of Commerce (May 14, 2018), drivers who were making 750 miles/day (by driving four hours over the limit) now face a significant reduction in compensation (which is paid per mile driven) if they comply with the regulation (which is difficult to avoid thanks to the required ELD in the truck). Price estimates that such drivers (and no one knows how many are in this predicament) face a 27% reduction in compensation, which will pressure trucking companies to increase their per-mile pay rates. And that, in turn, will drive up freight rates for those who ship by truck. Price gives a number of examples of different corridors and types of freight affected by these changes. And he concludes with the following: “Opportunity for [rail] intermodal right now is both significant and obvious.” An unrelated article in the same issue provides an update on major east coast container ports that are increasing their investments in rail access. Trucks have long held the advantage of being more flexible than rail and often faster door-to-door, though more-costly than rail. For those truckers that will have to cut back on daily hours of travel, as well as raising rates, the competitive challenge from rail intermodal will be very real. Positive News for Express Toll Lanes. In Los Angeles, the Metropolitan Transportation Authority rescinded its policy of granting free passage to single-occupant “zero-emission vehicles,” which have contributed to crowding out toll-paying customers in the I-10 and I-110 express toll lanes. 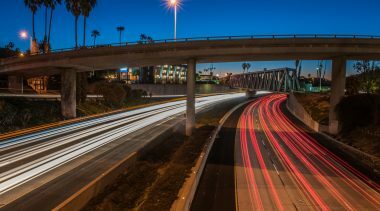 LA Metro estimates the change will increase the pricing power of variable tolls, resulting in peak-period traffic in the I-110 toll lanes moving 13% faster. Another factor hurting express toll lane performance in several metro areas is politically imposed price caps; I-405 in metro Seattle is a case in point. In “Toll Caps Undermine Congestion Pricing” (May 5th), Wall Street Journal reporter Scott Calvert drew national attention to the I-405 problem. Toll-Financed Interstate Reconstruction in Illinois. Thanks to its ready access to toll financing, the Illinois Tollway is embarking on a $4 billion project to reconstruct and widen its 22-mile Central Tri-State Tollway in the Chicago metro area. The reconstruction will redesign and rebuild several major interchange bottlenecks and widen most of the tollway from four lanes each way to five. If Congress gave all states the option to use toll financing in this manner, most of America’s aging Interstates could likewise be reconstructed and widened, where warranted. 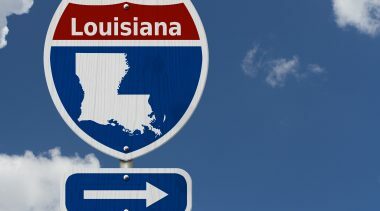 Louisiana Considering Tolls for Replacement I-10 Bridge. The aging and structurally deficient Lake Charles Bridge on I-10 in Louisiana needs to be replaced. The director of the state DOT, Dr. Shawn Wilson, wants to construct a replacement bridge just north of the current one. But since there is no funding for a bridge expected to cost $700 million to $1 billion, he says the bridge should be toll-financed and notes that replacing a non-tolled bridge on the Interstate system with a tolled bridge is already legal. Truckers Sue Pennsylvania Turnpike Commission Over Revenue Diversion. OOIDA, the trade association for owner-operators of over-the-road trucks, this spring filed a lawsuit claiming that the annual diversion of $450 million in toll revenues from the Turnpike (to be used for urban transit and non-tolled highways) is unconstitutional. The suit asks that $6 billion in diverted toll revenues be returned to toll payers. As part of the process, OOIDA and the National Motorists Association, filed a motion last month requesting a preliminary injunction to prevent the latest quarterly transfer of $112.5 million to the state DOT. Macquarie Takes Part in India’s Asset Recycling Program. India’s National Highways Authority selected infrastructure investor Macquarie as the winning bidder to acquire 30-year concessions for nine highways, under the toll-operate-transfer model. Macquarie agreed to pay $1.5 billion for the concessions, under which it will toll, operate, and maintain the nine highways. The government will use the proceeds for new infrastructure, including the major Bharatmala road-building initiative. IFM Investors Acquires OHL Concessions. Australian infrastructure investor IFM Investors agreed last month to acquire 14 toll roads, three ports, an airport, and a light-rail line from Spanish company OHL. IFM is paying $2.6 billion for the concessions, which are located in Chile, Colombia, Peru, and Spain. The deal also gives IFM indirect control of OHL Mexico. IFM Global Infrastructure Fund manages transportation facilities in the United States (Indiana Toll Road), Australia (five airports), and the UK (M6Toll). Maryland DOT Selects Advisors for $7.6 Billion Express Toll Lanes. The largest proposed P3 highway project in North America is the planned addition of express toll lanes to I-270 and the Maryland half of the Capital Beltway (I-495). In mid-April, the MDOT’s State Highway Administration selected a technical consortium headed by HNTB as its primary advisors for this mega-project. MDOT and FHWA are underway on the environmental impact statement (EIS) for the project, and the Request for Qualifications for P3 teams is expected later this spring. The project will be procured using a revenue-risk DBFOM concession model. Looming Federal Insolvency a Threat to Infrastructure Funding. 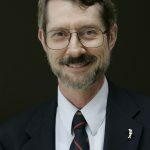 On February 22nd, my Reason colleague Marc Joffe posted a commentary titled, “The Federal Government’s Finances Are a Total Wreck.” His piece was a preview of the Congressional Budget Office’s April report, providing projections of the federal budget for the next 10 years. As William Galston noted in a Wall Street Journal commentary (April 18th), the average annual federal budget deficit over the coming decade will be $1.2 trillion. At the end of that decade, the national debt will have climbed to an unprecedented peacetime level of $28.7 trillion, or 96.2% of GDP. One likely prediction is that federal spending on entitlements, national defense, and interest on the debt will consume nearly 100% of “general revenue.” And that means it is critically important to wean U.S. infrastructure from dependence on general-fund transfers, in favor of user fees and user taxes. Ardian Investing in Italian Toll Operator. French infrastructure investor Ardian is acquiring a 40% stake in Gavio Group, which holds concessions for toll roads in Italy, Brazil, and the United States, making it the world’s fourth-largest toll road operator, with 4,150 km of toll roads. Gavio subsidiary Aurelia and Ardian will create a joint venture company to invest in greenfield P3 toll roads in Europe, Latin America, and the United States. Another Ohio River Bridge to be Tolled. A key link in the ongoing effort to complete I-69 in the Midwest is a new bridge across the Ohio River, between Evansville, Indiana and northern Kentucky. While three alternative routes to the new bridge on the Kentucky side are still being evaluated, there is a consensus on financing: the new bridge will be tolled. The final plan for what is now called the I-69 Ohio River Crossing (ORX) is due to be completed by December. Permit Granted for Elon Musk’s Starter Tunnel in L.A. A committee of the Los Angeles City Council last month granted an excavation permit to Elon Musk’s Boring Company, to construct a 2.7-mile proof-of-concept tunnel. It will begin on Boring Company property on Sepulveda Blvd. and run south beneath Sepulveda to Washington Blvd. in Culver City. The permit language included a proviso noting that the tunnel is not for a public mass transit system but is solely a demonstration project. Truck Tolls in Rhode Island to Start the End of May. The Rhode Island DOT announced another delay in the start of the electronic tolling of heavy trucks on I-95, to ensure further testing of system operations. The original deadline to begin tolling was December 2017, but delays in installation and testing have led to several postponements. Proceeds are to be used for bridge reconstruction projects, and tolling will be handled by R.I. Turnpike & Bridge Authority. California Announces Major Transit Projects Using New Gas Tax Funds. A few days before Republican activists were to file collected signatures for a ballot measure to repeal the recent gas tax increase, the state announced that $2.4 billion from early receipts of the new tax money would be spent on an array of transit projects. The increased revenues are estimated at $5.4 billion per year, and the authorizing measure stated that the funds would be used for both highways and transit. PierPass Rescinds Congestion Pricing. Thirteen years ago the ports of Los Angeles and Long Beach created PierPass, under which drayage truckers wishing to serve port customers during busy daylight hours would pay an access fee, while those using new evening hours would not. The system succeeded in shifting a significant portion of drayage trucks out of peak hours, but also led to queues outside the terminals prior to the hour when the evening shift began. Rising dissatisfaction has now led to replacing congestion pricing with (1) a flat fee, regardless of time of day, and (2) mandatory appointments, to spread truck trips throughout the day and evening hours. Anheuser-Busch Orders Up to 800 Electric Trucks. The nation’s largest brewer has announced an order for up to 800 of the hydrogen fuel- cell electric trucks under development by Nikola Motor Co. The trucks’ promised range is 500 to 1,200 miles, and the hydrogen refueling time is put at 20 minutes. Anheuser-Busch has said it plans to convert its entire fleet to renewable power by 2025. Under current Nikola plans, the first trucks are to be delivered to customers beginning in 2020. Globalvia Seeks Existing Highway Assets. Spanish infrastructure company Globalvia is seeking to acquire existing toll roads to expand its portfolio of revenue-generating transportation assets. It has assembled $1.25 billion from three pension funds: Canada’s OPT Trust, Universities Superannuation Scheme of the U.K., and Dutch pension fund PGGM. Globalvia is eyeing the forthcoming re-privatization of Madrid’s radial toll roads and several toll roads in Chile. The company holds the concession for the Pocahontas Parkway in Virginia. Pennsylvania Rapid Bridge Project Agrees to New Schedule. The $900 million P3 project to refurbish or replace 588 aging bridges in Pennsylvania, has reached an agreement with PennDOT on an adjusted schedule. Plenary Walsh Keystone Partners negotiated a new “substantial completion” deadline of November 2018, from the original deadline of December 2017. The company says it under-estimated the logistical challenges of numerous small bridges across the state, and also cited a slow approval process by the state. New Book Recommends Three Parking Reforms. UCLA’s Don Shoup, author of the landmark book, The High Cost of Free Parking, has released a follow-up volume, Parking and the City, focusing on recommended policy changes. They are: remove off-street parking requirements, charge the right price for on-street parking, and spend parking revenue to improve public service on the metered streets. The new book is available through Routledge. New Transportation Statistics Annual Report. The U.S. DOT’s Bureau of Transportation Statistics (BTS) has released Transportation Statistics Annual Report 2017. You can download a PDF of the report from: https://www.bts.gov/tsar17. Follow-Up on Trucking Fuel Surcharges. Reader David March responded to last month’s article on trucking companies potentially passing along electronic toll charges to their customers. He pointed out that during his 10 years shipping via less-than-truckload carriers, there has always been a fuel surcharge of some sort, whether fuel prices were high or low. So this kind of charge has been widely accepted by shippers.